I will stick to the solder of old for a higher melting temperature, esp. for outdoors. I do use heat shrink over my connections. Seems iffy to me, I guess I'm an old school guy who likes to be able to inspect solder connections before covering them up. With these I guess the only way to check for a good connection would be a pull test. Without a proper amount of flux you might just end up with wires that are touching but not properly soldered. Water resistant maybe, very few things are water proof ! 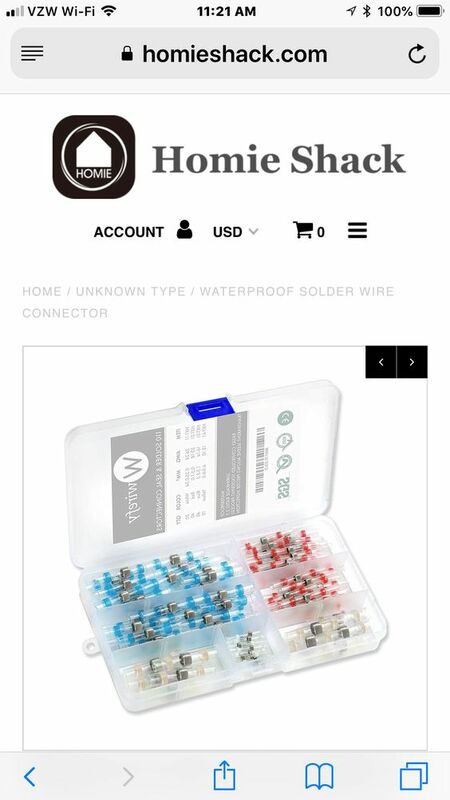 Here is a link that shows you how to solder them. Nope I have a flip phone !! I have an I phone that I hate using for telephone calls. Well there are some downsides to this gadget, it's definitely not perfect. So, it has it's place but for the downsides, I think I'll stick to my methods. It's apparently been invented for quick in the field splices of "holiday lights".